Anyone could do a better job, we groan. Should I put this child in school, some wonder—though they may not want to say it out loud to their homeschooling friends. When you go backwards instead of making progress, you may be tempted to just dig in. Maybe you should. But maybe the universe is reminding you you’re not superwoman or Superman. Maybe you’re too busy or sick to reach conclusions. Two months ago, I intended to set aside a few hours to review my goals, and set new ones. But I caught a lingering cold and was too foggy-headed to reach conclusions. Instead, I had to set aside a few weeks to be sick. Not seriously ill, but enough that instead of planning ahead, I got further behind. That setback was not a waste. Those weeks when I could slowly ponder my goals felt like no progress. But in a few weeks, I reached conclusions. One was that I was overcommitting myself. Have you? Many parents do. 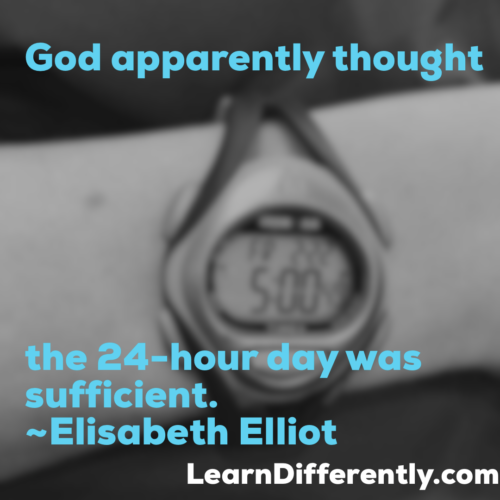 Then we wonder why we’re exhausted and discouraged. Any setbacks not only gives us a change to review our goals, but to reassess them. They may be too ambitious. Or they may great goals, but too many of them. It’s tempting for me–and maybe other moms–to think my child’s success depends on me doing everything perfectly. What a burden! What a lie. Momma can’t make everything better. I’m not God. My kids, my spouse, my friends, my community, and especially my God impact what happens. Take a deep breath. Take a walk. Life—and your kid’s success—is not always about you. 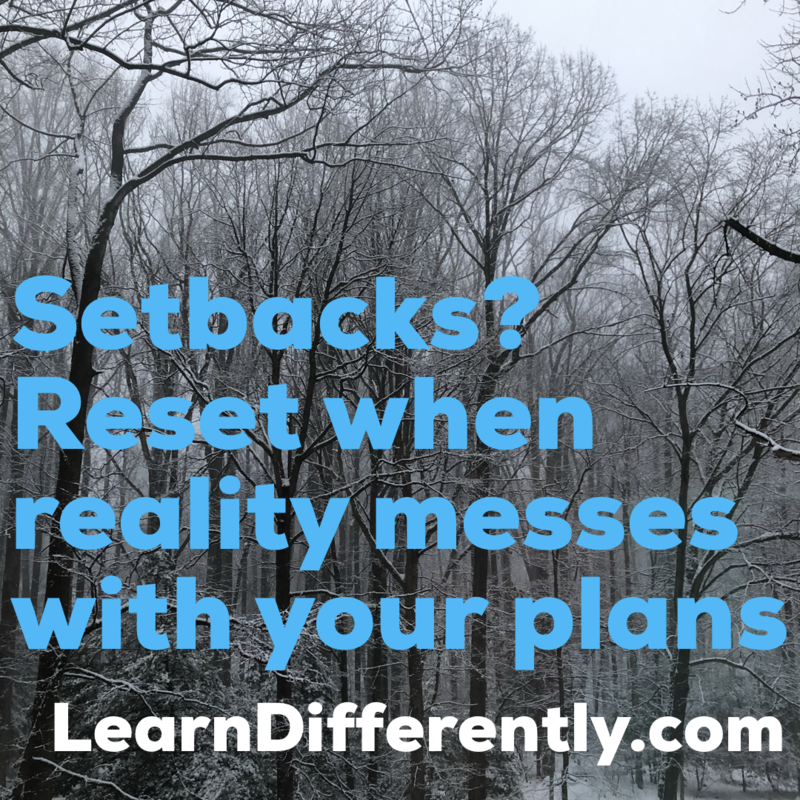 What helps you deal with setbacks? How do you reboot? Please answer in the comments below. Thanks.